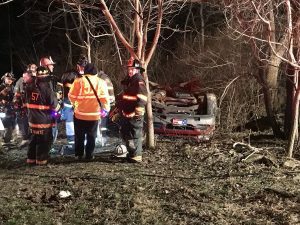 Just after 8:30 am, QFD and Bart Township Fire Company Engine 51-1, along with LEMSA responded to a vehicle accident with reported entrapment in the 1600 block of Kirkwood Pike (Rt. 472). Units arrived with a pickup that sheared a telephone pole and no injuries. 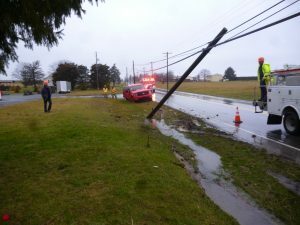 Crews remained on scene until the pole was up- righted. Fire Police set up a detour and directed traffic around the scene until the roadway was clear. 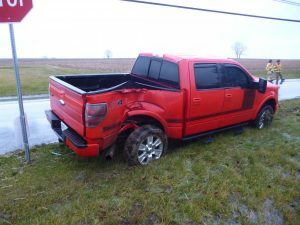 After the vehicle accident in the morning on Thursday, QFD ran two more calls, a gas leak and a vehicle accident. 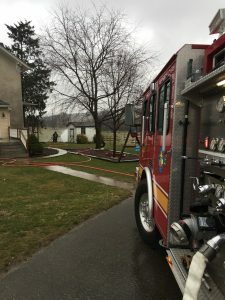 The gas leak, in the 500 block of Valley Road in Eden Township, resulted in from an overturned 1,000 gallon propane tank. 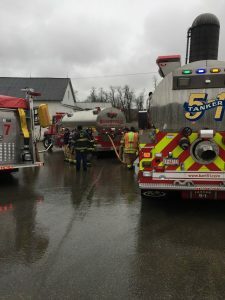 Engine 574’s crew put a line in service on the active leak, and with the help of Captain 51-2, made a plan of up-righting the tank and securing the valve. Bart Township Fire CompanyEngine 51-1 and Tanker 51 was requested, and with their help, the plan was executed and the leak controlled. Later in the evening, members re-equipped and put Rescue 57 back in service after 6 weeks of warranty body work. 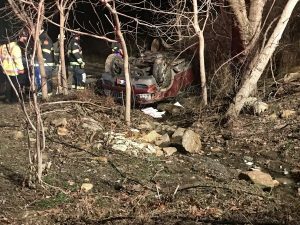 Within 90 minutes of it being back in service, the Company was dispatched to a vehicle accident with rollover in the 1300 block of May Post Office Road in Eden Township. 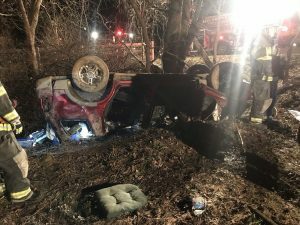 Crews arrived to find an overturned SUV with a person still inside. 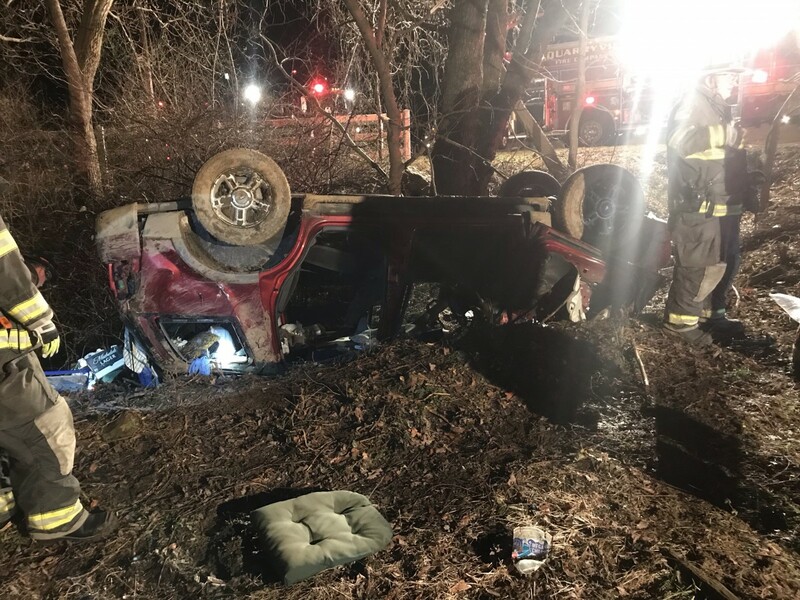 The vehicle was stabilized, access made and the person removed for medical treatment. 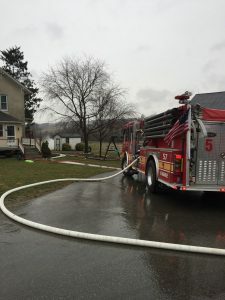 The Company was in service over 4 hours on Thursday.